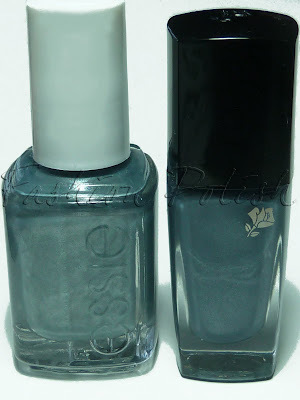 I must confess that I wasn't really excited about Essie Fair Game based on swatches but it was so unusal that it drew my attention. It's a medium gunmetal grey, a bit too brushstrokey for my taste. Opacity was pretty good and it dried fast but dull, plus you have to be extremely careful with application not to end up with an awful result. Of course that's even more obvious on macro pics. And here it is next to Lancôme Le Gris L'Wren Scott, the closest I could find in my stash in terms of color and finish. As much as I want to love Fair Game, I just can't, at least not entirely... I actually think that mattified it looks beautiful but something keeps telling me it's too much trouble. I'm not sure I would like it if I bought it either. It's strange? Hmmm... I think it looks too finicky to give a shot. It's too brush-stroky for me. I'm too clumsy for that, and impatient. Although I like the colour. I love your mattefied ideas, I did that with Finger Paints Groovy Green like you did and I was *in love* with the result. It looks gorgeous but I prefer the Lancome. 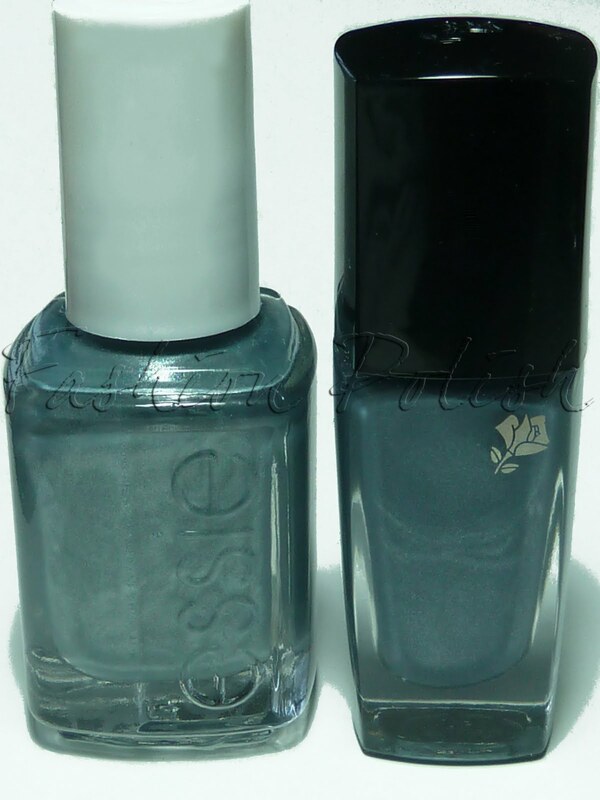 Plus Essie polishes take an eternity to dry on my so I won't be buying anymore. I love the tone of the color, but it's not worth the brush strokes in the finish. I almost got this one and I'm glad I passed now. I always love your pictures! Very interesting colour, though I don't love things that border on being frosty. Not loving it. The color looks interesting enough, but it doesn't entirely win me over, and it does appear to be a finnicky formula. Unless the color is gorg, a difficult application isn't really worth it. But you seemed to nonetheless be able to make it work pretty well!